It has a good quality spherical stylus, a rock-solid cantilever, and serves general purposes well. The Pro is the logical alternative to the more expensive expert carts. It offers both reasonable output and high sound quality which is, in fact, all there is needed to entertain an audience. 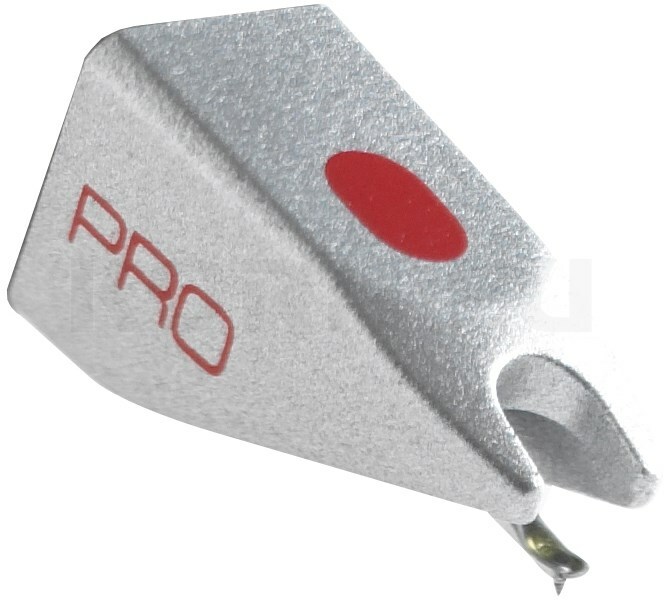 The Pro Series of cartridges provides a great balance of sound quality with tracking ability, for virtually any style of music. With flat, transparent sound across the spectrum and excellent handling ability, the Pro Series represents one of the longest running values in DJ cartridges.